One of the oldest department stores in America is now an international powerhouse in the online market. 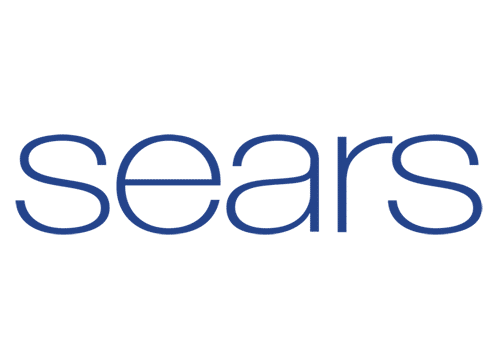 Living needs and fashion are at your fingertips in the online catalog, and Sears is a recognized name around the world. The comprehensive Algopix platform can unlock product insights using Amazon and eBay data to help you gauge demand, unit costs, and shipping options for other markets. Sears offers a great marketplace to online sellers with fulfillment by Sears and even allows for multi-channel fulfillment. All you need to do to sell on Sears is to set up a free seller account. When your sales volume is $400 or above per month a monthly subscription of $39.99 applies. Other than that, Sears charges an interchange fee of 2.5% and a commission rate that depends on product categories. When it comes to opening your online store, you want to offer products with high demand that also offer a good profit margin. This information is not easy to uncover if you don’t use research tools like Algopix. Even though Algopix focuses on eBay and Amazon sellers, our algorithm uses multiple data sources to calculate key metrics that can help you make faster business decisions. Because of the amount of data used, Algopix’s output paints a representative picture of a country’s market demand that is not only relevant to eBay or Amazon, but to any online seller there is. With information about market demand level, competition rate, or recommended market price, you can easily make the business decisions that help you grow your business. One important aspect of sourcing the right product is the expected profit margin. However, there are many different variables playing into this, such as procurement price, shipping fees, taxes, and many more. With Algopix’s detailed expense analysis, this maze of fees and costs will be easier to navigate. It offers you valuable insights into all expenses associated with selling a product. Since the fulfillment by Sears fees are quite similar to fulfillment by Amazon fees, you can use Amazon expenses as a proxy for your own business. Even more interesting, besides the expenses is the calculated profit you can expect from selling your product on a market. You can get this figure for eight different markets all over the world to get an idea where to sell your product in order to maximize your revenue. Nowadays, having an online store setup is not enough to build a successful business. Buyers need to see your product and decide to buy it, which makes online marketing an integral part of any eCommerce business. Sears offers you the option to “Advertise with Sears” which make you eligible to place ads and featured product ads on Sears. Further, it allows you to create your own brand experience and much more. Besides advertising on Sears, where you compete with every other seller on their marketplace, you can increase your traffic from outside sources like Google. Google AdWords enables you to bid on specific search phrases related to your products. When winning the bid, Google will display your ad on the respective search page every time a potential customer searches for this phrase. You only pay when your ad is being clicked, which is why it’s also called a pay-per-click campaign (PPC). Your cost-per-click depends on your initial bid, which depends on the popularity of a keyword and how much bidding competition there is. Algopix can help you form a Google AdWords campaign by delivering valuable insights that will facilitate finding the right keywords. Algopix’s Google AdWords Insights feature provides not only a recommended search phrase but also the associated cost-per-click, bidding competition level, and cost-per-acquisition. Gaining these insights will help you easily build a solid AdWords campaign in no time and focus on more important tasks to grow your business. Given the amount of products you’re being offered by manufacturers, researching one product at a time won’t cut it. For this purpose, Algopix supports bulk analysis for up to 200 products at once. With this valuable feature, you can assess new products in the blink of an eye.